It’s been quite the ride! 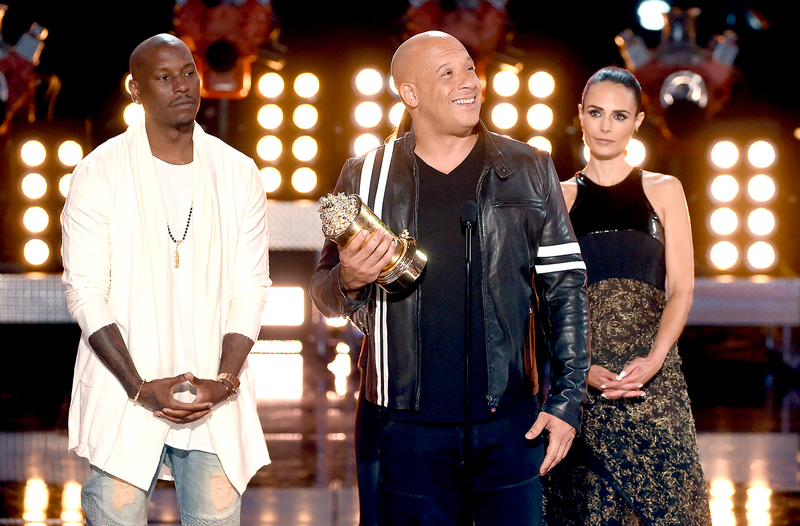 The Fast and Furious franchise received the Generation Award at the MTV Movie & TV Awards at L.A.’s Shrine Auditorium on Sunday, May 7. Watch it above! Vin Diesel, Michelle Rodriguez, Tyrese Gibson and Jordana Brewster accepted the golden popcorn statue on behalf of the entire cast and crew throughout the eight films. The latest installment, Fate of the Furious, which premiered on April 14, smashed global box office records and raked in $532 million on opening weekend. It also starred Dwayne “The Rock” Johnson, Jason Statham, Ludacris, Charlize Theron and Kurt Russell.